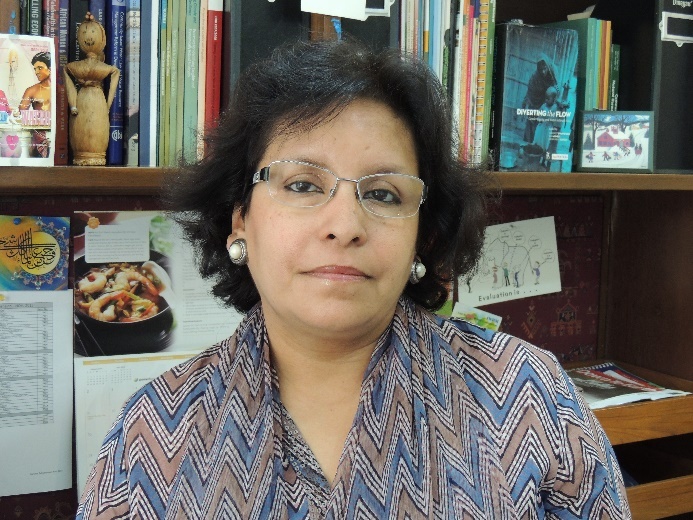 Dr Sara Ahmed is an independent researcher with more than 25 years of experience on the political economy of water, rural development and gender equity in India. From 2009 to 2015, she was a Senior Programme Specialist with Canada’s International Development Research Centre (IDRC) managing two substantial regional research portfolios on climate change and water security and agriculture, food and nutrition security in South and South East Asia and China. Prior to joining IDRC, Sara was an Associate Professor at the Institute of Rural Management, Anand in Gujarat and worked with several development organisations on water governance and conflicts, vulnerability and adaptation to climate change in South Asia. She has been a Senior Associate of the Institute for Social and Environmental Transition, the Chair of the Gender and Water Alliance, a member of the steering committee of the Forum for Policy Dialogue on Water Conflicts and a member of the National Steering Committee for UNDP’s Global Environmental Facility’s Small Grant Program in India. Sara holds a PhD in Social and Political Sciences and an MPhil in International Relations from the University of Cambridge. She is currently on the board of WaterAid India. In 2012, she co-edited Diverting the Flow: Gender, Equity and Water in South Asia (Zubaan, New Delhi).